Exterior of the Union Electric Building, 2013. The Port Union Heritage District is both nationally and provincially recognized, and is thought to be the only union built town in the country. Now under the stewardship of the Sir William Coaker Heritage Foundation, this site has many architectural structures that are worthy of attention. During a recent visit, I took over 100 photographs of buildings in the district, and was amazed by the number of heritage buildings that are still standing. 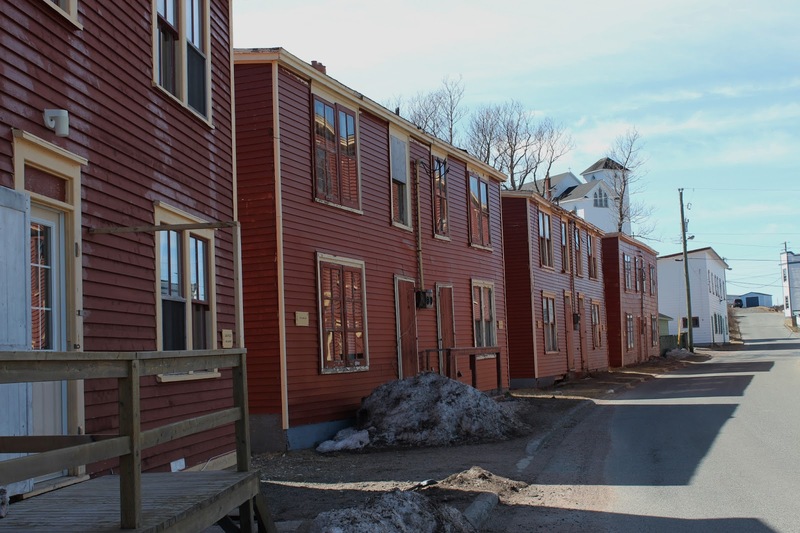 I was particularly interested to see the row housing here, as this type of housing is virtually non-existent in other outport communities. 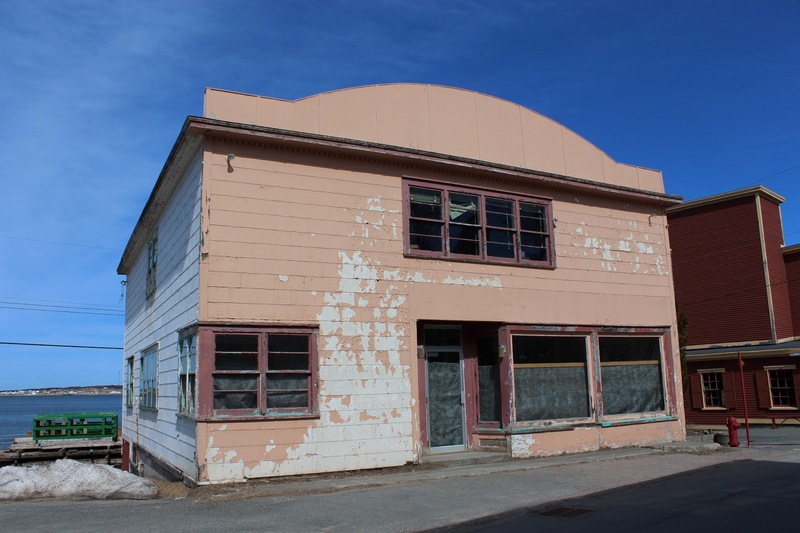 While most of the historic homes are currently uninhabited and in need of restoration, the Coaker Foundation is actively working towards preserving these buildings in hopes of developing an active tourist industry. To help bring awareness to the district, I will be doing some work here, which will include sifting through their incredible archival collection, organizing the digitization of oral histories, and creating a booklet of photos and stories from the region. It is an exciting new project that will hopefully generate a bit of excitement around the built heritage of Port Union, and the legacy of Sir William Coaker. Click here to learn more about Port Union's history and architecture -- this paper from 2006 was compiled by Andrea O'Brien of the HFNL (jointly researched by Debbie O'Rielly of the Newfoundland Historic Trust). Union row housing along the main street, 2013. 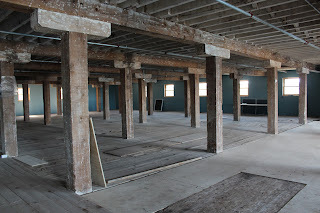 Interior of the former fish plant that will be repurposed by the Coaker Foundation, 2013. 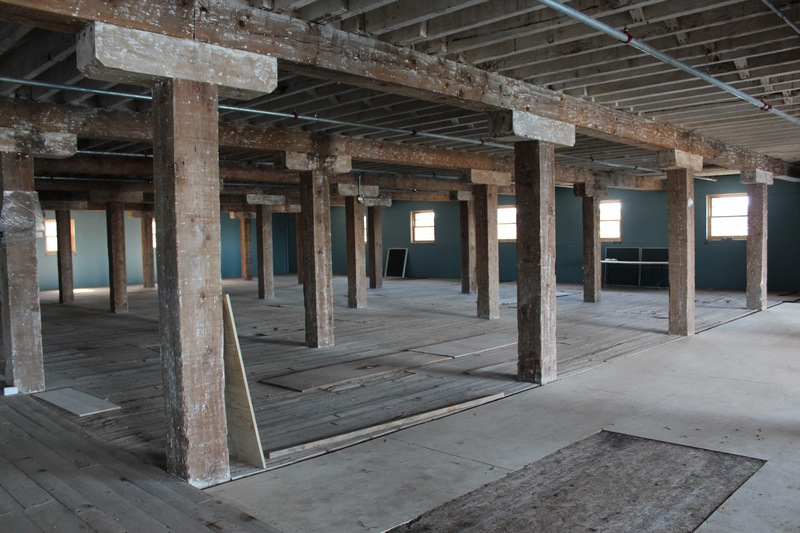 So glad to see the work you are doing to help preserve and promote the unique heritage of Port Union.